When my wife Susan and I first met on the Oregon coast our favorite activity was walking the long sandy beaches. I was looking for critters while she was searching for shells and stones. At the time her collections seemed somewhat random but we now have special collections that mark the early memories of our life together: cowry shells from the Channel Islands, abalone from Año Nuevo Island, multicolored stones from the Oregon coast, and coral sand from Hawaii. These beach treasures are now a part of our history together, embedded in our lives. Born into a Navy family the only constant in my life was change. By the time I left home for college I had lived in 10 different places across the country; three elementary schools, two junior highs and two high schools. So when I married Susan, although she had moved when she was young, she had lived in the Portland, Oregon area since she was 12. 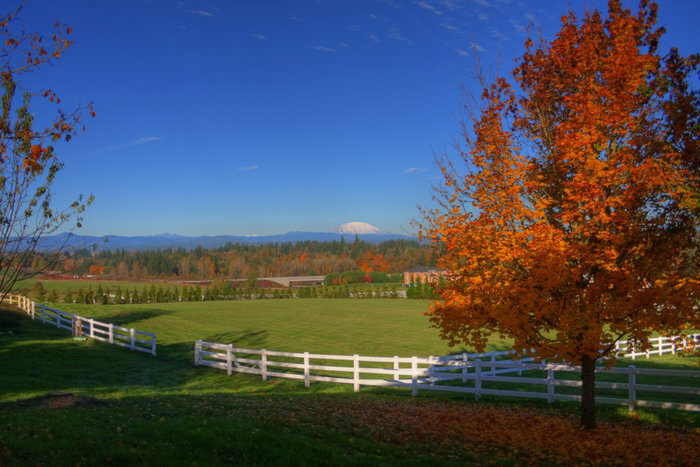 After a few moves together we, along with our two young children, decided to settle down for a spell and chose Ridgefield, Washington as that place. Now Ridgefield (pop. 2,000) is one of those idyllic sleepy little towns outside of Portland on the Columbia River that remind you of Mayberry RFD: rolling green hills lined by towering forests with views of Mt Hood, Mt Adams and Mt Saint Helens on the horizon. The town has an annual BirdFest and a traditional 4th of July parade with fire trucks, high school bands, and waving politicians. Adjacent to the Ridgefield Wildlife Refuge, the expansive rolling hills are frequented by Canada Geese, white egrets and packs of coyotes. At night you can hear the fog horns guiding boats down the Columbia, the barking of sea lions, the smell of the river, and the the sounds of trains moving down the tracks. The town has a pleasant mix of traditional rural farmers and dairy folk mixed with newcomers from the tech industries expanding in Portland. The small schools were perfect for our children with the school bus stopping in front of our house driven by Mrs. Summerfield who personally supported four generations of Ridgefield students on her bus. We bought a five-acre lot with a large field for horses, a chicken coupe, barns for cats, dogs and children and a creek lined by cedar trees. It was an amazing home. Ridgefield, WA. Photo by Oca Hoeflein. As the years passed by we marked the moments with lots of rain, ice – and snow-covered fields, and long, warm summers on the back deck watching our children grow from toddlers to children, to teenagers and eventually adults. There were plays, musicals, concerts, chess matches, soccer, basketball, and volleyball games, track meets; knowledge bowl, mock trial, and speech and debate. There were vacations in California, Hawaii and Mexico, Christmas and Thanksgiving with family, and a successive of memorable pets. I took long hikes into the Cascades and looked down upon the place I lived from the snow-capped peaks. We took our horses, Chism, Buck, Miss Hawaii, Desi, Huey and Buffy on hiking trips to the Oregon coast and the coastal mountains; our cats, Greystoke, Cookie, Momo and Echo, hunted on our property and entertained us with their antics; our dogs, Chester, Brashley, Jack, Bandit and Baxter lived in the yard and in our house and grew up together with our kids, cats and horses; often in a big pile on our back porch. But in all of my youthful wandering I had missed something that you learn when making a long-term home: the passing of time and the emotions of change. When I was young I was able to associate change with the past, as I was always moving on. When you live in one house for a long time everything becomes associated with that place, embedded in the landscape. Over the 16 years we lived there our dogs, cats and horses marked the change as they passed in and out of our lives. At the same time so did our family, first my mother Millie, my wife’s aunt Marion, my uncle Pat, then after a long illness Susan’s mother Vera. After my wife’s lifelong horse Chism died in his stall one night, my dog Bandit was run over, and Susan’s mother died, 2013 became our year of change, of reflection on the past and thoughts for the future. As our children began to leave home, first our daughter then later our son, our home seemed empty, full of memories past, of the spirits of those that passed before us. You could literally see our horses in the pasture, dogs and cats in the barn, the gatherings of family and friends in our yard and in our house. We were all growing older together and trying to move on with our lives but at the same time trying to hold on to those precious memories, the child within and without. But life moves on and people change and we started to feel the tug to move on, to put the change behind us. But it was difficult to let go; we were embedded in the land, the place, the memories of our history forever bound to Ridgefield. Despite that we did move on. I was offered a faculty position on the Northern California coast in Humboldt, in Trinidad, a place that reminded us of our early years together on the Oregon coast. I moved there in 2013, Susan stayed in Ridgefield another year to get our son through High School, complete her current job, find a new job in Humboldt and to sell our house. When the time came to depart it was much harder on her then me. As someone who spent a lot of time in California I was coming home but she was leaving home. I didn’t appreciate it at the time but she wasn’t just moving, she was leaving behind her friends, her horses, her family, her mother and her children. And although she loved Trinidad her heart was hurting. So began our walks on the beach in Trinidad, again in search of shells and stones. So beautiful and priceless are these days and it was in Trinidad that she discovered the heart stones, ironically on Valentine’s Day — the anniversary of our first date 28 years before. Rocks driven endlessly by waves rolling up and down the beaches for hundreds, thousands of years. 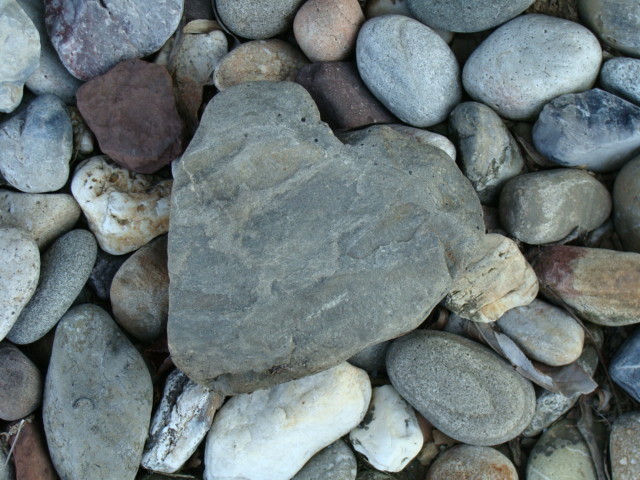 And given all the random possibilities, end up shaped like our hearts. Like our lives they have cracks and holes and are lopsided and imperfect. Their symbol, that of undying love and the permanence of past memories that never fade, seemed to give my wife solace, comfort in the litany of change over the last few years. Their message is filled with strength, love and faith: that despite the passing of time and the changing of place, love establishes a permanence in our hearts that lives forever. So as time goes on, Ridgefield, and all its special times with family, children, pets, friends and landscape, will forever be etched in our hearts, as if cast in stone.